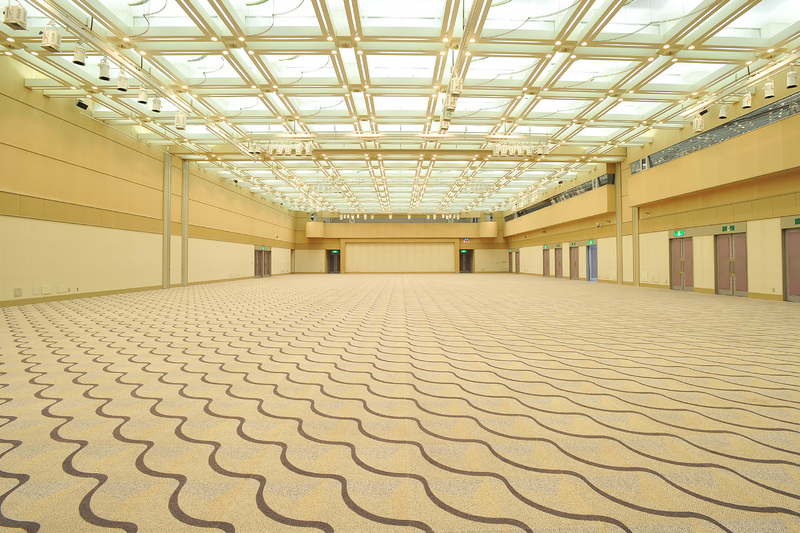 Shirotori Hall is the ideal venue for post-conference social functions. 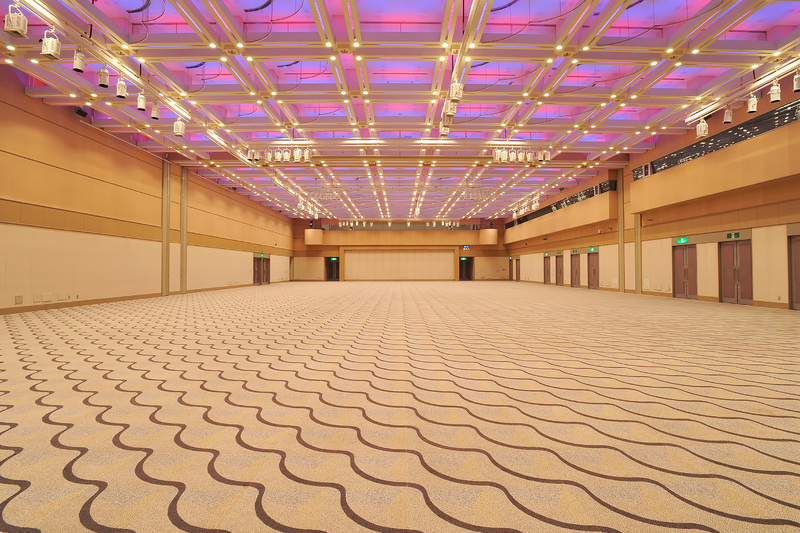 Among the hall’s modern facilities are a suspension system (many tool battens for lighting and exhibits), an elevating stage, an audio-visual system, and a swan-shaped fiber optic chandelier, alternately lit in six different colors. All of these facilities add splendor to parties. 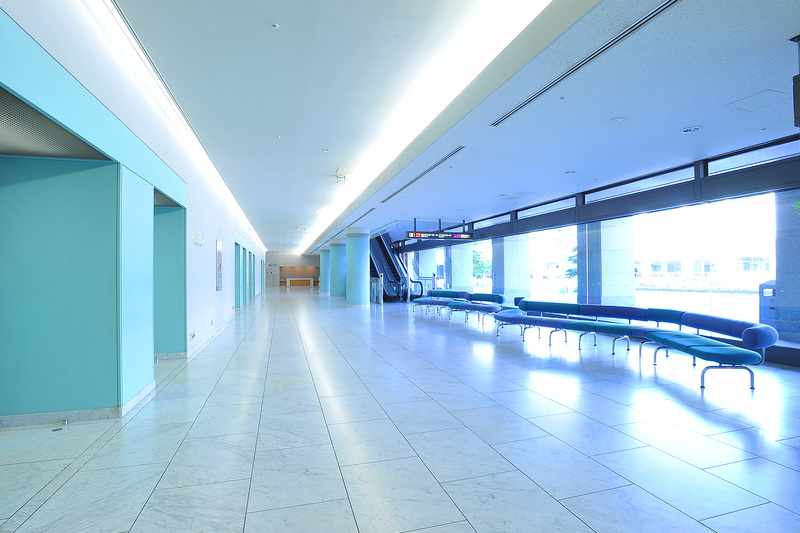 In order to meet varied needs, movable soundproof partition walls can divide the hall. 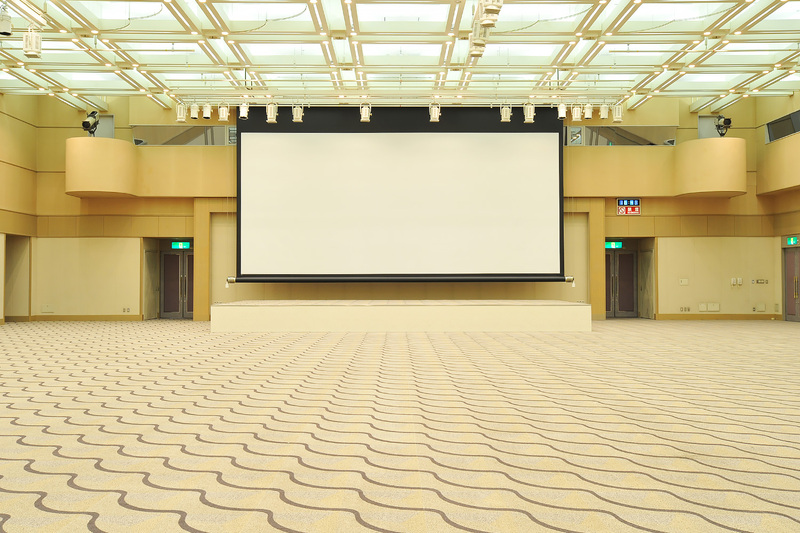 With eight simultaneous interpretation booths, the hall can be used for a broad spectrum of occasions, such as international conferences, annual　general meetings, parties and exhibitions. 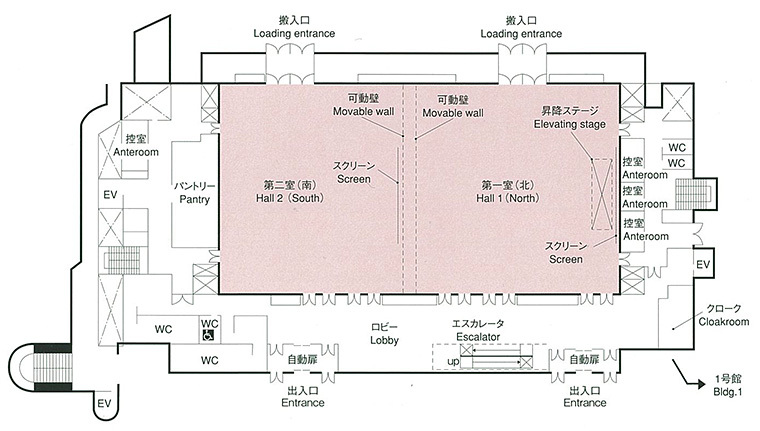 Equipment for exhibition rooms is published in the “Information Guide” for conference facilities.